Enjoy Lunch & free time in Kinsale "The Gourmet Capital"
Your bus tour departs from your ship in Cobh or sometimes Ringaskiddy first heading for Blarney Castle where you will have up to 2 hours free time to Kiss the legendary Blarney stone, explore the amazing gardens, take in some shopping at the famous Blarney Woollen Mills or simply indulge in the atmosphere in the village of Blarney enjoying some local homemade scones with coffee. The next leg of our trip will lead us to Kinsale, first stopping at Charlesfort for a 15 minute photo-op to capture the stunning views and learn of the fascinating history of Charlesfort and Lusitania before arriving shortly afterwards at the The charming village of Kinsale, dubbed "Ireland's Gourmet Capital". Pefect for lunch! 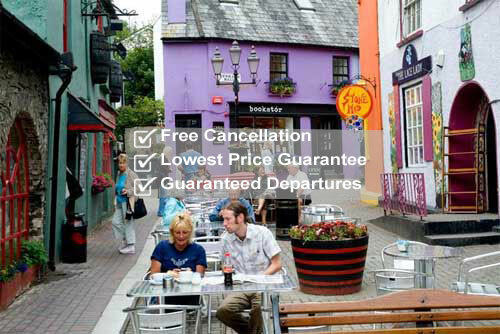 There are lots of pubs, restaurants and craft/gift shops dotted around the winding streets of Kinsale. You will have up to 2 hours free free time to explore and enjoy lunch/drinks at one of the many fine local establishments. 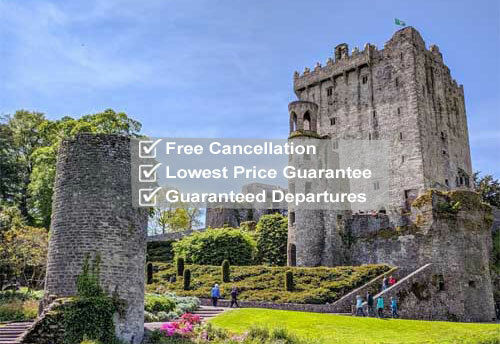 It is now time to enjoy the scenic route back to your ship and take in some touring around the magnificent Island of Cobh (This ensures the last leg of our tour is very near to your ship in order to make a timely return one hour before your sailing. Immerse yourself in the rich maritme history of Cobh while taking in some stunning harbour scenery while discovering why Cobh is forever linked to the ill fated Titanic. Learn of the fascinating history of Lusitania mass graves, The Potato Famine and Ireland's mass emigration. 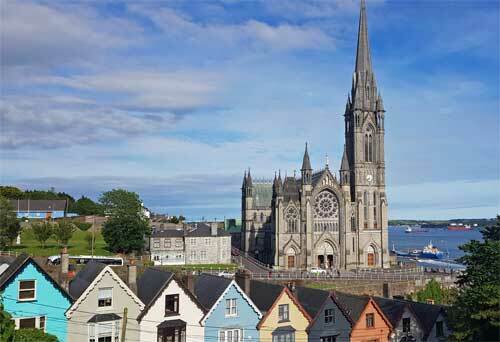 Finally we will have a 15 minute stop to enjoy the spectacular neo-gothic St. Colman's Catholic Cathedral before heading back to your ship in plenty good time for your sailing.